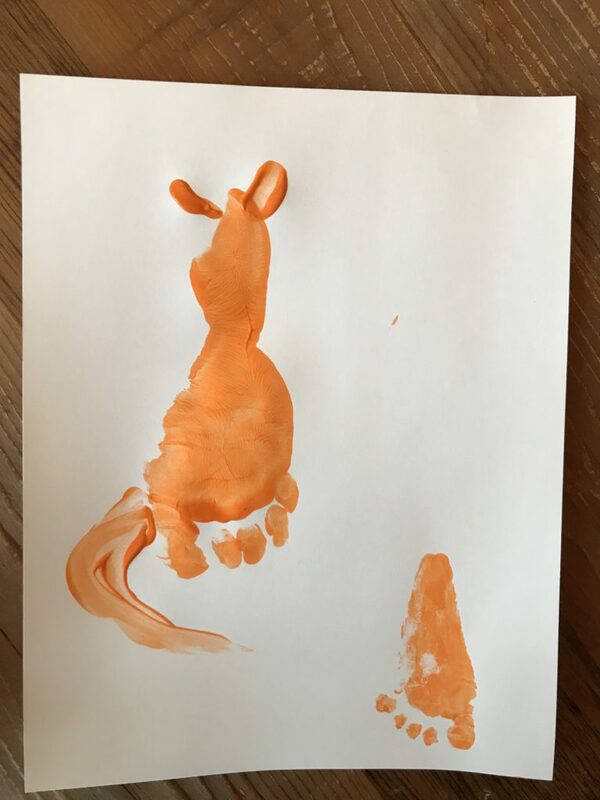 My 2 year old LOVES anything to do with creating. 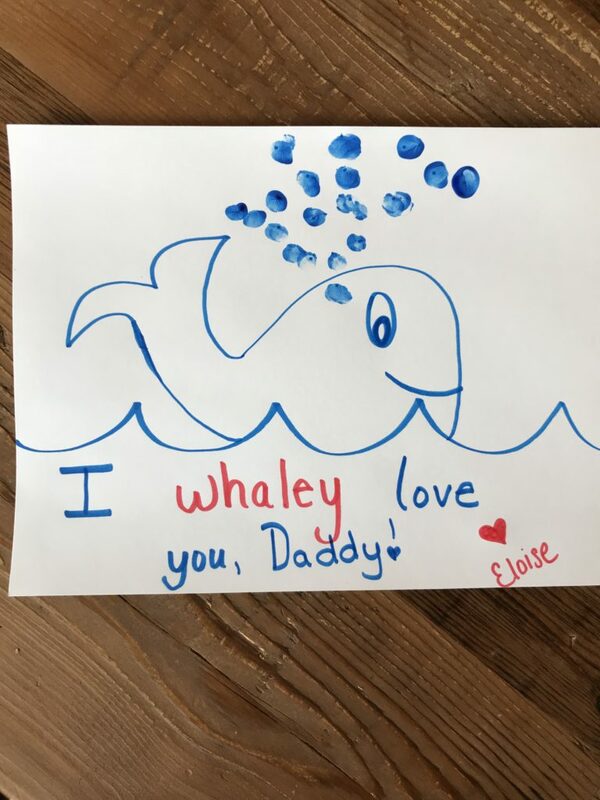 We always have play-doh, markers, paints, stickers and construction paper out. It can get messy, but it is her favorite thing to do. 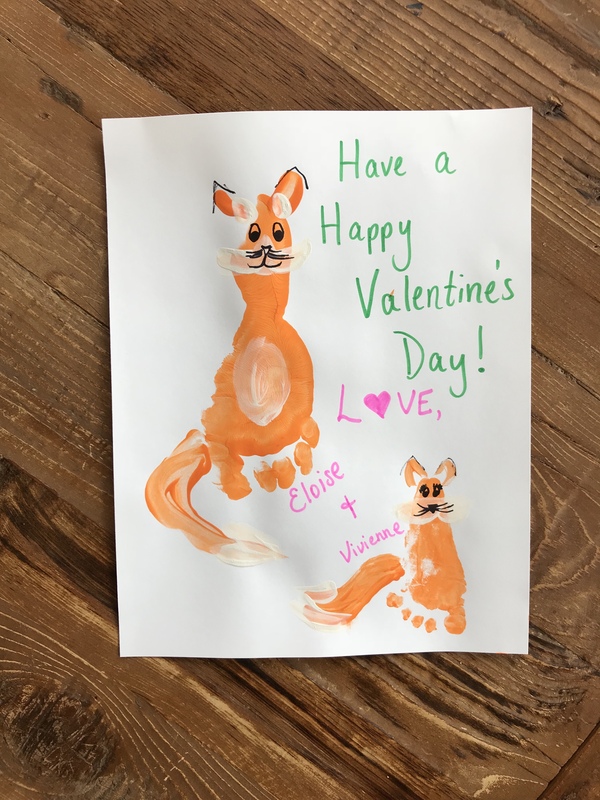 With Valentine’s Day coming up, we’ve been focusing on holiday specific art. And, since we can’t leave the baby out, we try to include her too! 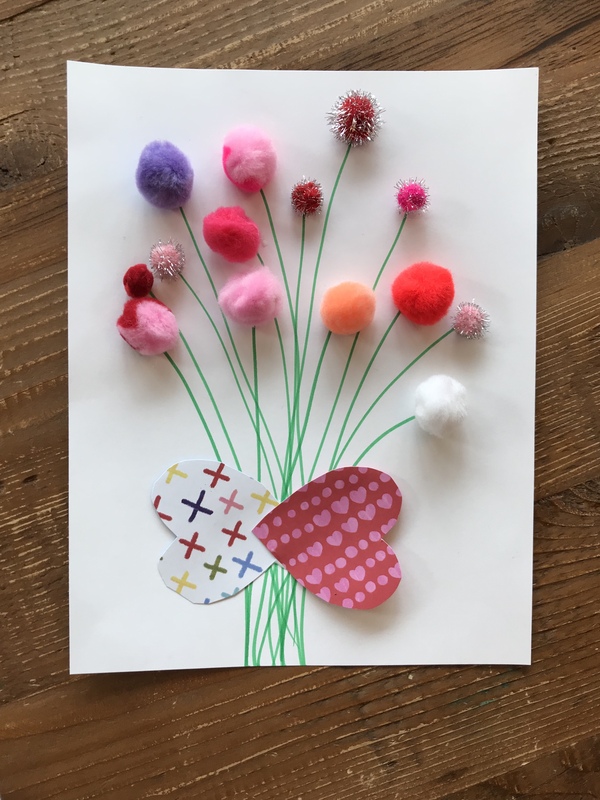 Check out these easy toddler and baby Valentine crafts and get creating with your little ones! 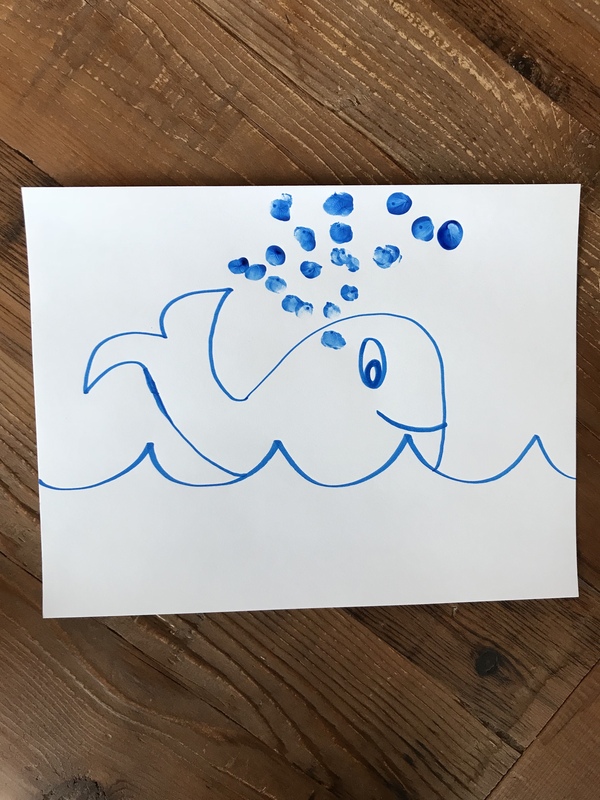 Draw a simple whale on a piece of white paper and put dots where the water shooting out of the blow hole would be. 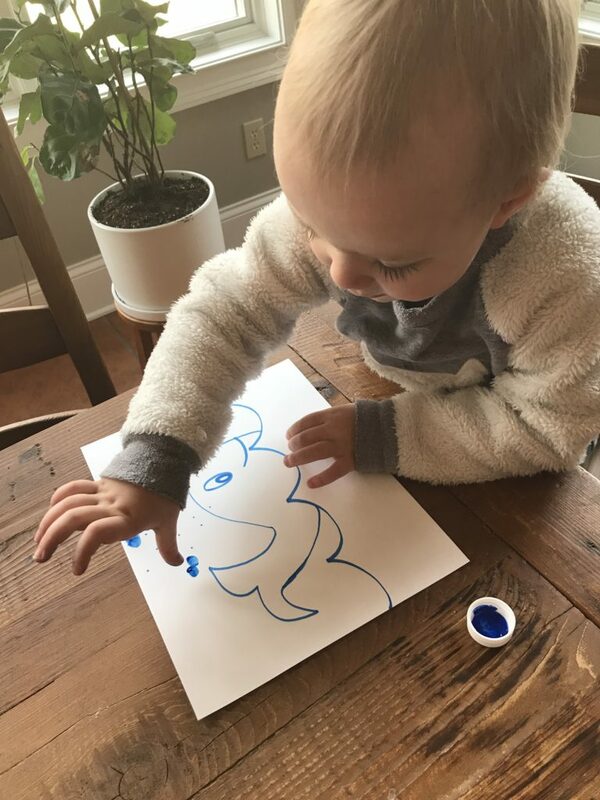 Then, have your toddler use their finger to touch each dot. 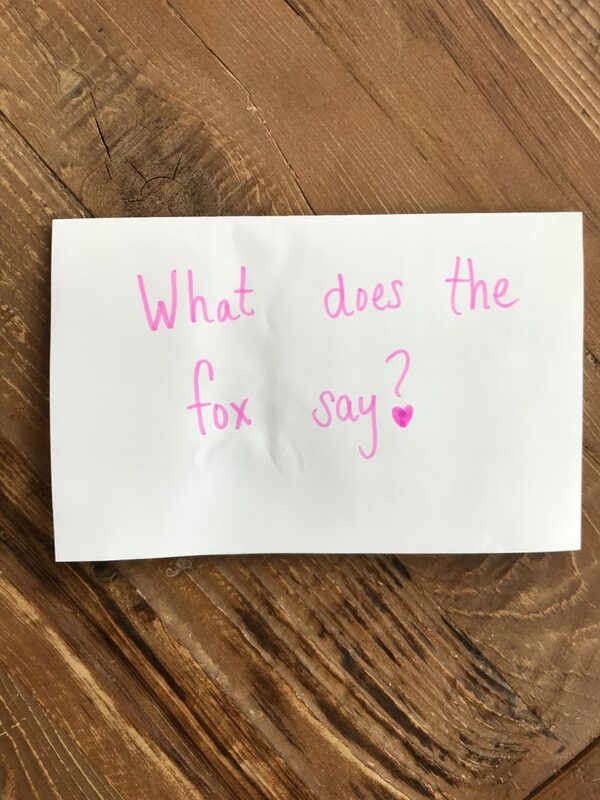 It is so easy and fun for them! 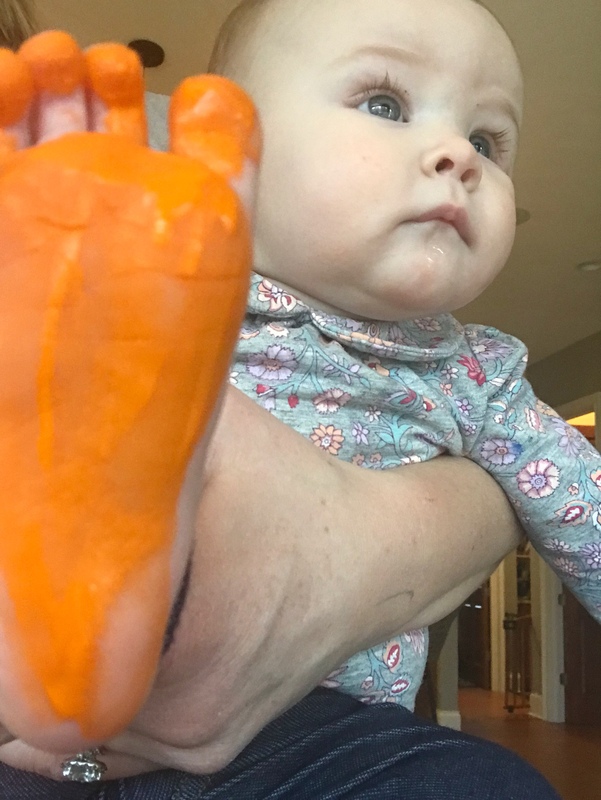 Brush orange paint onto the bottom of your baby’s bare foot and press it onto the paper with toes pointing towards the bottom of the page. Using a paintbrush, draw a tail coming off of the side. Once dry, use white paint to add white to the end of the tail, onto the stomach, ears and around the mouth. When that dries, use the sharpie to add eyes, a nose, whiskers, a mouth and definition to the ears. 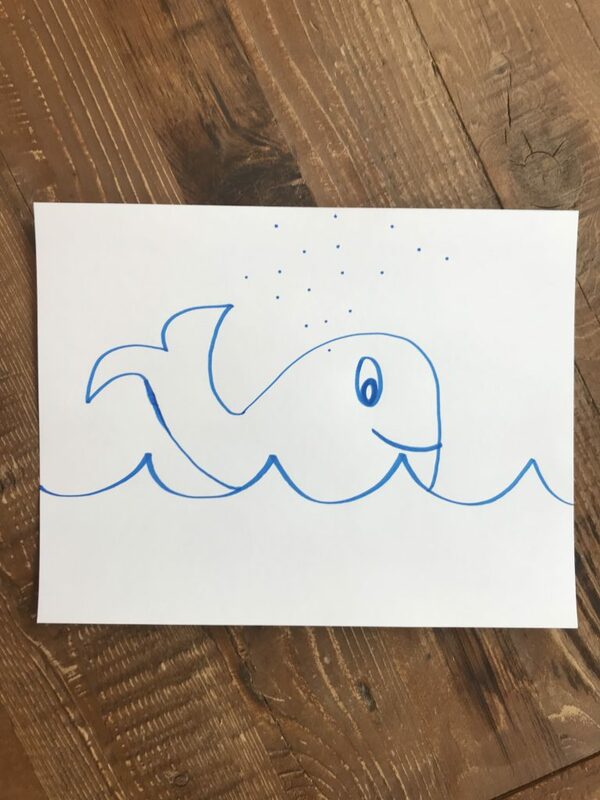 Lastly, to turn it into a card, write a catchy little phrase and sign your little one’s name. Adorable! 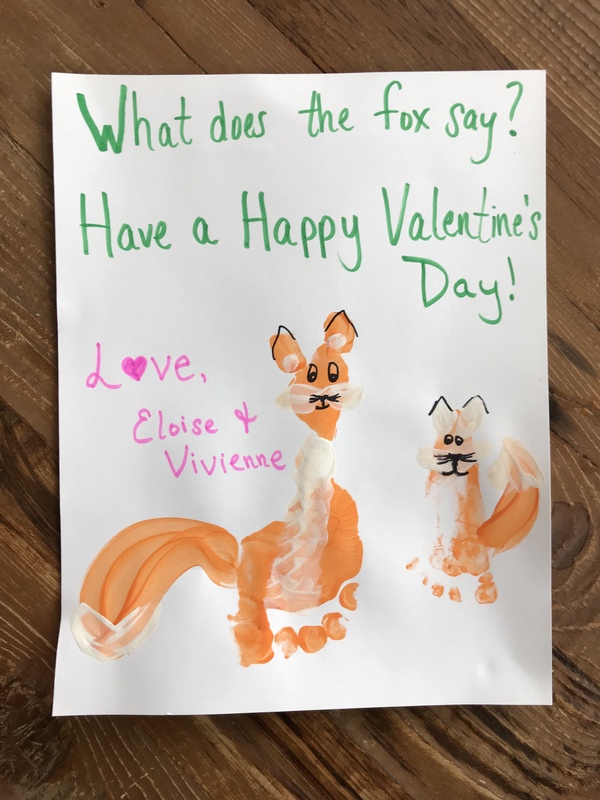 Note: Help toddlers finger paint the tail and white accents. Draw several lines on the paper that represent stems. Then, place a dab of glue at the top of each line. 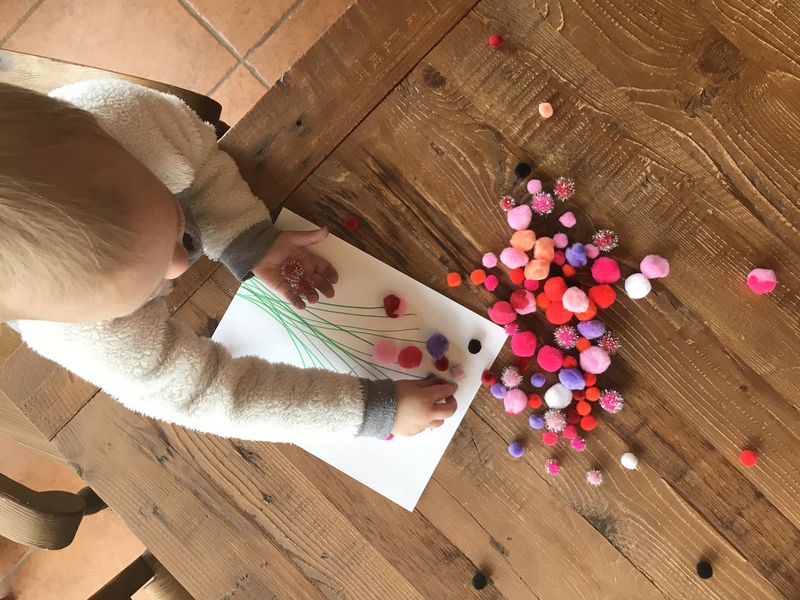 Invite your toddler to place a pom pom on each glue spot. 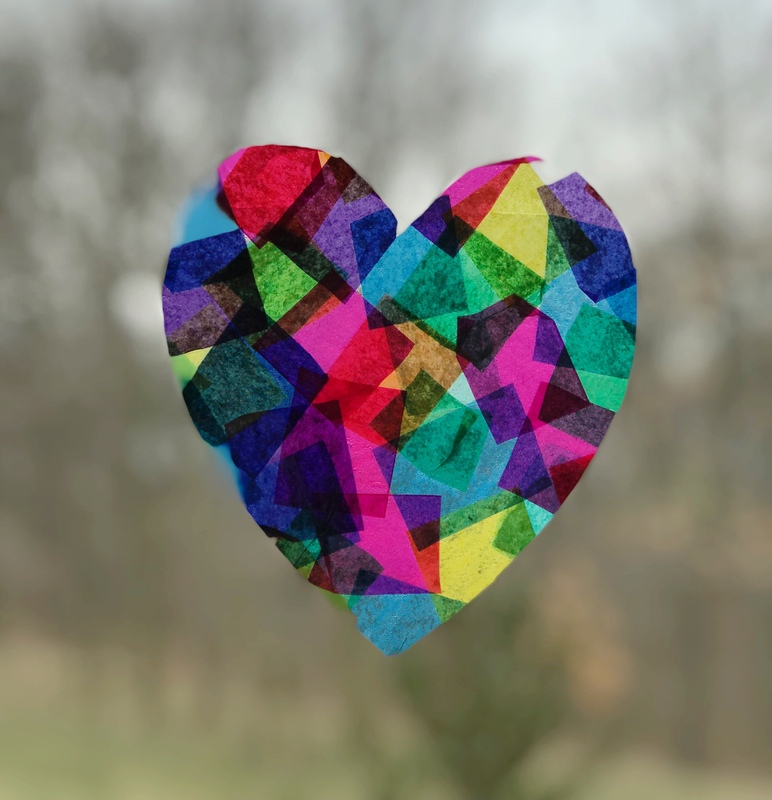 I also used some extra hearts I had laying around from the “14 Days of Love Notes” challenge to create a little bow. It is so sweet! 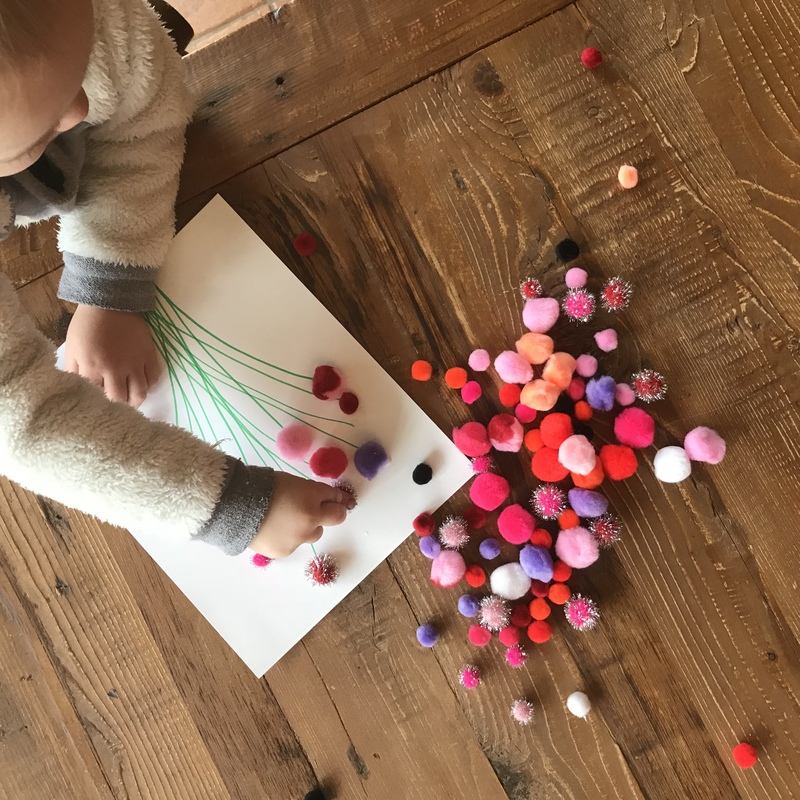 Extra Fun: Give your toddler a pile of pom poms, two containers and a pair of tongs. 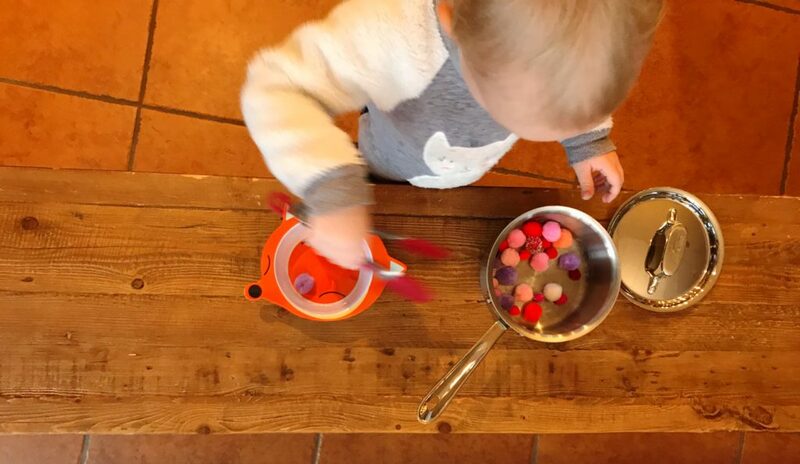 Show them how to pick up the pom poms using the tongs and place them in the containers. It is a great way to work on their fine motor skills! 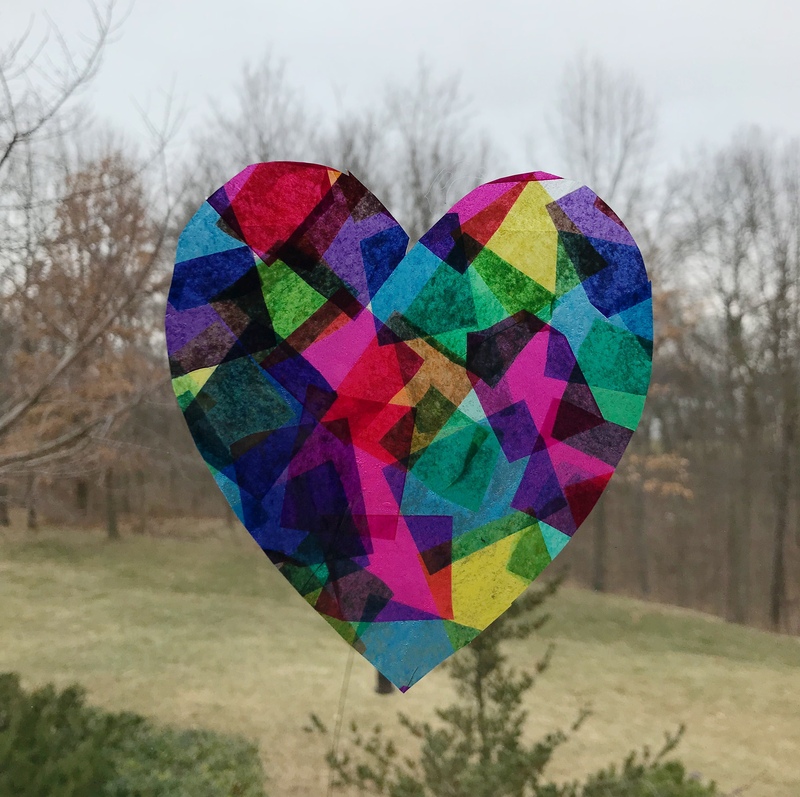 This craft was fun and turned out adorable! I got the idea from Fireflies and Mudpies. Check out her page for all of the instructions! 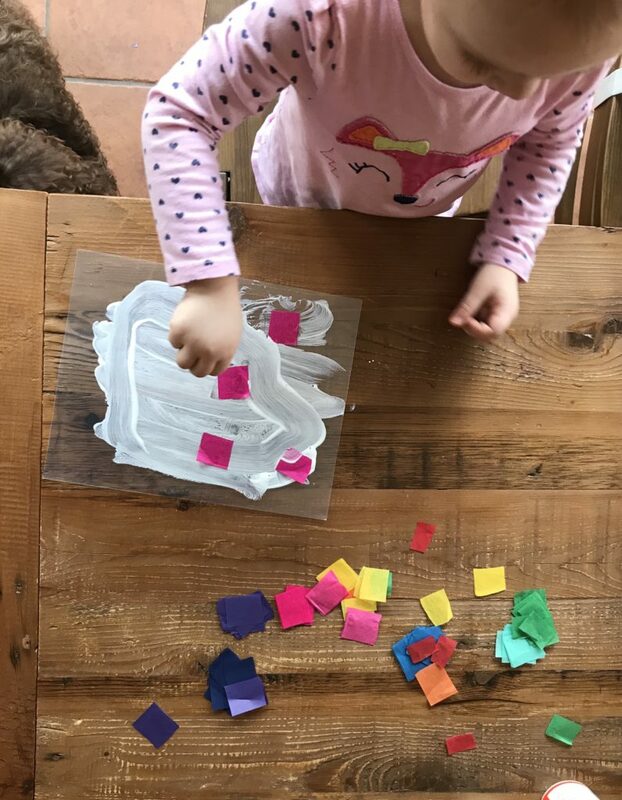 Have fun creating with your little ones!